Australian schools are handing over the all-pervasive ‘sustainability’ syllabus to a militant green organisation, Cool Australia, whose curriculum material and projects have enjoyed a red-carpet ride into the state and private education systems, with accolades from the Australian Education Union and the Independent Education Union. Much of Cool Australia’s program for schools is benign: recycle trash, don’t waste electricity, plant trees, embrace reconciliation. But the rest of the agenda tirelessly advances the supposedly impending global-warming catastrophe, plus, inevitably, preaching the evils of fossil fuels. The impression of what some might see as brainwashing is enhanced by the featured endorsements of hard-line carbon-phobic groups like the Australian Youth Climate Coalition and civil disobedience advocate/ex-NASA scientist James Hansen . Beyond that, there are links to Bill McKibben, of the 350.org climate-zealot lobby group, and the Skeptical Science website, which devotes itself to pummelling ‘deniers’ while declining to publish their demurrals on its comments threads. Such groups’ videos are offered to students to watch in their own time, leaving more time in class for ‘discussion’ of the messages. The success of the Cool Australia in planting its deep-green message in the minds of school children suggests a growing and structural obstacle to any rational discussion of climate matters in the future, as green-indoctrinated voters emerge from the education system and join the ranks of voters. Sadly, while green-dyed propaganda becomes a fixture in the classroom, there is not much chance that, say, the coal-mining members of the Minerals Council of Australia or a Big Four bank lending for fossil fuel projects, will be invited to contribute a measure of balance by providing curriculum modules that deviate from the green orthodoxy. Cool Australia claims that 42% of Australia’s 10,000-odd schools had a teacher registered with it. From early childhood to Year 10, some 500,000 students were engaged, and 120,000 “learning activities” downloaded for their use. Roughly 20,000 teachers are signed on (that’s 1-in-15 nationally) and the number is growing at the rate of 1400 a month. Teacher sign-ups more than doubled in 2013-14. Targets for 2015 are “more than 50%” of Australian schools, 30,000 registered teachers, and 600,000 children from age 3 upwards (about 20% of all students). Penetration rates are about equal in the government, private and Catholic sectors. Despite its pleas for reduced consumerism, Cool Australia is, ironically, the brainchild of the Kimberley family, once the proprietors of the Jusst Jeans chain. Craig Kimberley, who netted $64m from his group’s sale in 2001, is a director, and his son, Jason, is founder and CEO. Consumerism is bad, apparently, once you have sold your chain of stores devoted to consumerism. Jason Kimberley endlessly recycles the story of his ‘eco-epiphany’, which happened during a 2005 visit to Antarctica. He returned an ardent eco-warrior. While he may not yet have noticed that Antarctic sea-ice is at record levels for the satellite era, school principals love his shtick. Kimberley claims to have spoken personally with 50,000 students, at the impressive rate of 10,000 a year. The people running Armadale Primary School in Melbourne were so impressed that, in August, 2013, they declared Jason “Principal for a Day”, with an address to the school assembly thrown in. Cool Australia last year partnered with the AEU and Independent Teachers’ Union (ITU) on the “AEU/IEU Greens Conference”, featuring such activists as the global warming scholar Rod Quantock (B.Arch, Melbourne University [failed]), the comedian whose more recent laughter-generating moments are quite unintentional. The AEU called it “Greens Conference”; Cool Australia called it “Green Schools Conference”. Perhaps they’re both right. Ex-Wotif tycoon and Greens Party mega-funder Graeme Wood, worth around $350m. 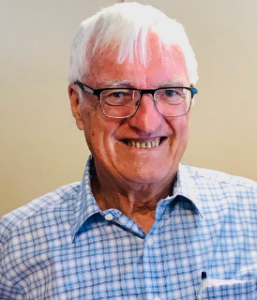 Aged-care tycoon Robert Purves, WWF president, former board member of WWF International and Governor of the Australian Youth Climate Coalition. Purves’ foundation has distributed more than $10 million to environment, climate-change and activist causes. And Cool Australia’s report re-pays the praise with interest: “[Bendigo Bank] have a conscience and a heartbeat. They are far bigger than a bank.” To suggest the scale of things, bear in mind that Cool Australia’s and Bendigo Bank’s national Enviroweek in 2013 involved 1200 schools and 162,000 students who adopted 500,000 “challenges”. Cool Australia strongly endorses the Australian Youth Climate Coalition’s (AYCC) juvenile activists, who battle for Gaia by jumping around in fish costumes at Lend Lease annual meetings, to name but one of their stunts, while denouncing coal financing. A current AYCC campaign is Dump Your Bank. “Could your bank use your money to fund the destruction of the Great Barrier Reef and our climate?” it asks, going on to urge readers to “Take the Pledge. ‘I pledge to dump my bank because they’ve refused to rule out funding coal ports on the Great Barrier Reef’.” AYCC has made a slick little video (below), featuring photogenic moppets, that specifically targets the Commonwealth, a Bendigo Bank competitor, for allegedly financing the Great Barrier Reef’s destruction. Even more brazen in relieving kids of their pocket money is the material promoting Cool Australia’s Enviroweek, set for the end of August. Education ministers, even Coalition ones, apparently see nothing wrong with environment lobbyists using class lessons to solicit kids’ dollars for their campaigning. Guy Olian, a director of Cool Australia, is CEO of a business, Energy Lease, providing low-doc, zero-deposit loans for packaged installation of domestic solar power installations. He was previously director of a similar company, Australian Solar Solutions. The pitch is that the solar loans can be paid off from the savings on electricity bills. Whether these savings come good may depend on whether governments maintain their solar subsidies (there was a flurry about threatened subsidy-axing in WA in 2013). Regardless, the solar-power lenders clip the ticket. Maybe Cool Australia should issue a declaration of interest to teachers and kids every time its lessons sing the praises of household solar power, which they do a lot. Enter Cool Australia with its portfolio of on-line, fun-and-friendly lesson plans: “Free online environmental resources where all the hard work is already done.” The ‘free’ element must have a special appeal to under-resourced and smaller schools. Cool Australia claims 90% of Australian teachers want to teach sustainability, with more than 85% unsure how to do it. The teachers involved are spread evenly between Science, Maths, English, and the Humanities. As Cool Australia puts it, “a Maths teacher will teach primary students to tell the time by linking time with water-saving activities. An English teacher will inspire students to develop a communication project that explains the challenges of “a clean energy future”. Some may recall those last three words from the Gillard years, when they featured prominently in the government’s ill-fated Clean Energy Future carbon-tax package. Back in the classroom, teachers are delighted to have such tailor-made “toolkits”, approved by headquarters, to dial-up as required on “climate change, environment and sustainability”. The risible nature of Cool Australia’s “science” includes its 2015 focus on “highlighting the impacts of global warming on Aussie food and farming”. Unmentioned is that global atmospheric warming stopped 18 years ago. The basis for 16 modules of Cool Australia secondary curriculum material is Tim Flannery’s save-the-world book “The Weather Makers”, written way back in the ‘settled science’ era of 2003. The book in 2006 was re-issued for students as “We Are the Weather Makers” (every secondary school in the country got a copy) and again in 2007 as “Thinking about climate change – A guide for teachers and students” . That free version was devised by David Harding, Rose Iser, and Sally Stevens, but who are these people? Well, one of them, Iser, was the 2010 Greens candidate for the Victorian State seat of Essendon and later adviser to Greens MHR Adam Bandt. Cool Australia has spruced up “Thinking About Climate Change” with up-to-date material from the Climate Council to make it a multi-media resource for its teacher clients, an initiative that reflects the group’s leaders are serious professionals with plenty of management/marketing expertise. Chair David Simpson, an executive coach, is a veteran international advertising executive. Director Sergio Galanti is a turnaround expert with successes at Coles Myer and Kraft. He’s gone green because of “his children accusing his generation for the environmental challenges we face today”. (Kids are pretty arrogant these days). Staffer Angela Andrews BComm, MTeach, spent a decade at Sydney boys school Newington College, and was an economics HSC examiner for four years. She also worked for Manly Council as Climate Change & Sustainability Education Officer. When a classroom teacher, she used Cool Australia materials in class for four years, and won many education awards. However, her style was so apocalyptic that her students, she says, got traumatised. She expects, for example, a 6degC average temperature rise for Australia’s hottest days by 2100, wiping out many species along with the Kakadu wetlands. She recalled one of her science lessons six years ago about atmospheric gases. The kids were bored until they started talking about how people are causing global warming that would impact all living things. But then the kids got apathetic, anxious and hopeless. So she gave these (benighted) kids hope with a program for going green and cutting their CO2 footprints. “This was the most rewarding and memorable experience of my life. One that defined my teaching career and ultimately who I am as a person. “Imagine if every child around the world woke up tomorrow and felt empowered. … Sustainability education in our classrooms can achieve this…They learn that we are part of the Earth rather than simply a destructive presence on the Earth. “We must make sure all children feel hopeful and enthusiastic about their future. Only then can they develop into CEO’S, politicians, nurses and builders who are solutionaries (sic) of the future. One Cool Australia module teaches Year 9 science students how to analyse statements by ‘sceptics’ and ‘deniers’, and “make judgements around the motivations behind them”. After paying lip service to science scepticism, Cool Australia then equates “denial” about the global warming consensus with tobacco companies originally denying health damage; anti-evolution arguments; claims that animals can learn languages; and even aliens and UFOs. Elsewhere, Cool Australia links climate scepticism with anti-vaccination campaigning. Any funding of research or groups by industry or energy companies (as distinct from government or green-lobby funding) is seen as cause for alarm. Students are asked to assess statements by orthodox warmists vs. those by scary sources such as “denier” Fred Singer (a world-renowned physicist and space-research pioneer), the late Ray Evans of the Lavoisier Group, who is dubbed a “sceptic”, and someone from the US Western Fuels Association (another ‘denier’). The exercise is set against the conclusion of John Cook’s notoriously flawed paper claiming a 97.1% consensus on warming orthodoxy (which on the paper’s own figures, was actually only a 0.3% consensus). Students are then asked to put forth their own credible statement on climate change. It would be a brave student who took the sceptic line. Come to think of it, churches also want to teach about ethics, morality and wealth, but I can’t imagine 20,000 teachers welcoming their dogma and representatives to classroom and curriculum. Tim Flannery’s Weather Makers book, by the way, also includes a plug for loan financing of solar power. “It is well worth taking out a loan,” he writes, “for in sunny climates like Australia or California or southern Europe the payback period is around two or three years. The solar heating devices usually carry a ten-year guarantee, so you will get at least seven to eight years of free hot water.” (Kindle edition, Location 2896). It’s part of the overall pattern of propaganda which passes for education, thinking and reporting which has gradually swallowed up our education and news space. The Politburo would be very proud of this kind of achievement. I keep wondering at what point did it all change; when did we comprehensively start to propagandize the society and then accuse Conservatives of engaging in culture wars? It’s one big, fat and massive projection (a psychological term).